Fijian Sevens captain Kalione Nasoko and international team-mate Eroni Sau will play for PRO14 outfit Edinburgh next season after they both agreed to join on Monday. 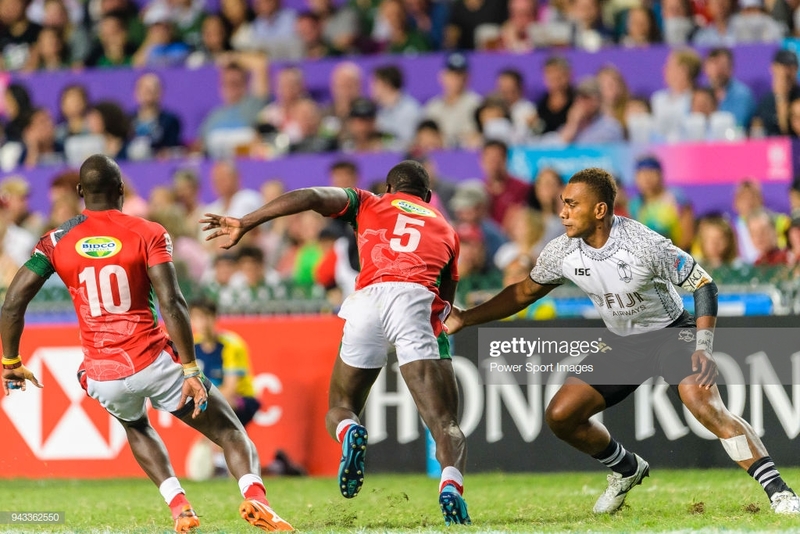 Nasoko, 28, named in the World Rugby Sevens Series Dream Team for the past two years - scoring 63 tries in 142 appearances - signed a two-year contract. Sau - nicknamed 'The Sledgehammer' for his robust defence and offensive play - signed from French Top 14 side Perpignan, also on a two-year deal. Both Nasoko and 29-year-old Sau were members of the Fiji side that took silver at the 2018 Commonwealth Games. "This is a great opportunity for my family, and after many years on the Sevens circuit, I can't wait for this new challenge in Scotland," said Nasoko. Richard Cockerill, Edinburgh head coach, said Nasoko would play largely on the wing and add some flamboyance to their backline. "Kalione brings something different to our back-three," said Cockerill. "He gives us a little bit more of an x-factor and, as you see with the good teams around Europe, you need that type of threat." Cockerill, who in his previous coaching stint guided Leicester Tigers to two Premiership titles, is equally excited by the impending arrival of Sau, who has also played for the Fiji Test side, including as a replacement in their remarkable win over France last November. "Anyone who has watched sevens will know Eroni Sau," said Cockerill. "He's a very strong and powerful runner, he's tough and very combative. "A nickname like 'The Sledgehammer' gives you an idea of what he does with and without the ball, and I'm delighted he's chosen to join Edinburgh and be part of what we're building here for next season and beyond."